Mehbooba Mufti was addressing party workers who came in large numbers to pay homage to late Mufti Muhammad Sayeed at his mausoleum in Dara Shikoh garden in Anantnag district's Bijbehara town. Mehbooba Mufti said PDP is playing a crucial role in safeguarding the interests of the people. 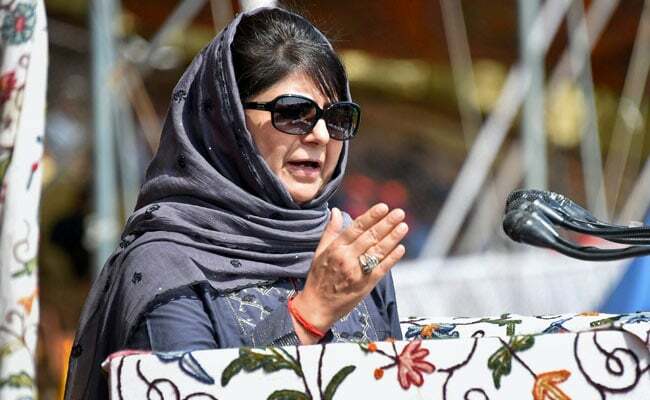 Srinagar: On the second death anniversary of her father and former Chief Minister Mufti Muhammad Sayeed, Jammu and Kashmir Chief Minister Mehbooba Mufti on Sunday made a passionate appeal to India and Pakistan to resume parleys to end the ongoing bloodshed in Kashmir. 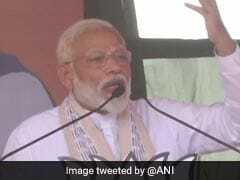 Addressing party workers who came in large numbers to pay homage to late Mufti Muhammad Sayeed at his mausoleum in Dara Shikoh garden in Anantnag district's Bijbehara town, Ms Mufti said the present violence is only killing Kashmiris who die either as terrorists or policemen. "Resumption of dialogue between India and Pakistan is the only way forward to end the bloodshed in Kashmir."